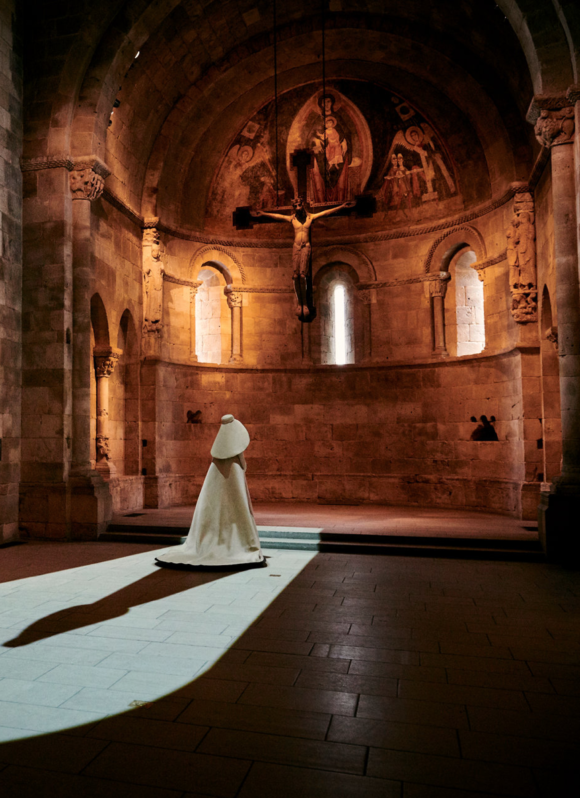 This story was originally posted in June but worth a second look after admiring the famous 1967 Balenciaga wedding dress, spectacularly displayed in a chapel in The Cloisters as part of the Heavenly Bodies show. teens and twenty-somethings that are specifically buying Balenciaga, Givenchy and Gucci without any knowledge of the namesake of the houses. 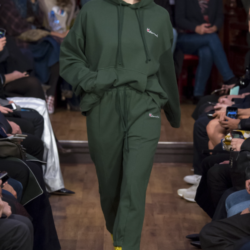 They merely desire the heavily branded hoodies, sweatshirts and trainers. Some of you may remember my post weeks ago about designer sweatshirts. 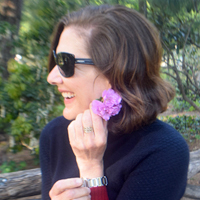 The subject came up again recently with my college age daughter and her friend who spoke of deep pocketed students on campus who buy only the big name designer brands, while staying true to the coed uniform of sneakers and sweats. I’m a bit floored by this, first that they are purchasing for a name of which they know nothing, and second that price is not a deterrent in the least. All designer houses chase after the younger customer. I’ve sat through many a merchandising meeting to discuss just that. 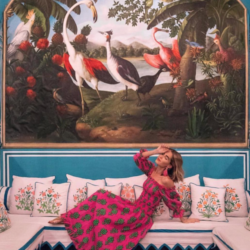 But the younger customer was defined as an affluent young woman and the clothes in question were real clothes, jackets, pants, dresses, cut from beautiful fabrics, not elevated Urban Outfitters. The excessive branding that is driving a portion of the luxury market is out of my control. 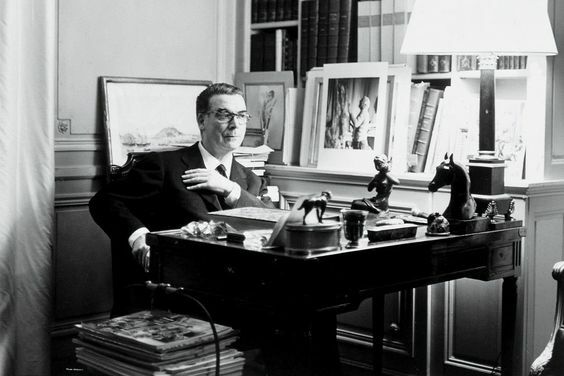 But I can’t sit idly by and let the great name of Cristóbal Balenciaga be all but forgotten by the next generation. I know I’m not alone in my admiration for the master. After the above-mentioned dinner I checked my Instagram feed before bed. The designer Ralph Rucci posted a shot of Balenciaga trainers with a lengthy caption, part of which states, “They have taken his name and have conveniently used it as a springboard for such mediocrity, such tastelessness, such ugly ideas. Without balance, respect for proportion, without quality, without integrity—just the whorish greed to sell a gym shoe, a tee shirt, a back pack.” The post has since been deleted. 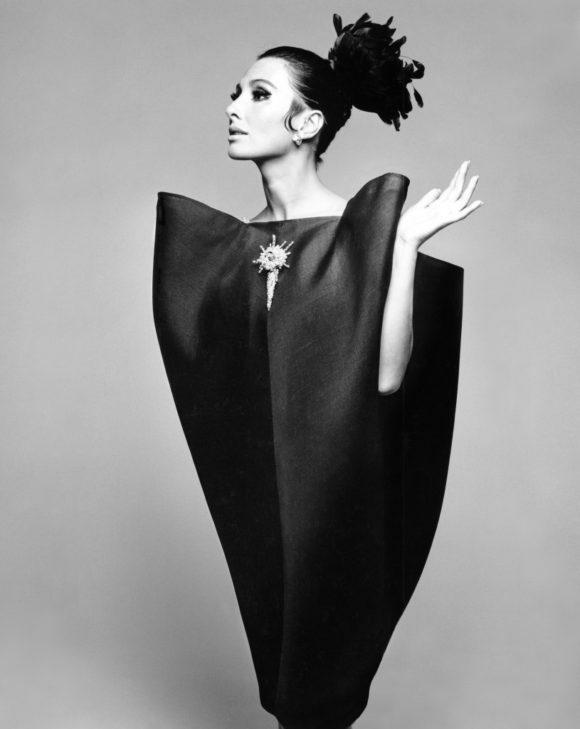 I have worshipped Cristóbal Balenciaga since I was a design student. Christian Dior famously referred to Balenciaga as, “the master of us all”. Coco Chanel called him, “The only couturier in the truest sense of the word, the others are simply fashion designers”. 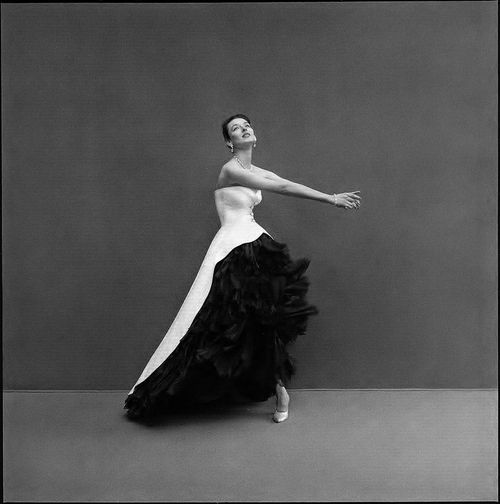 Balenciaga transcended fashion and created art as only he could. His creations are displayed in museums around the world. 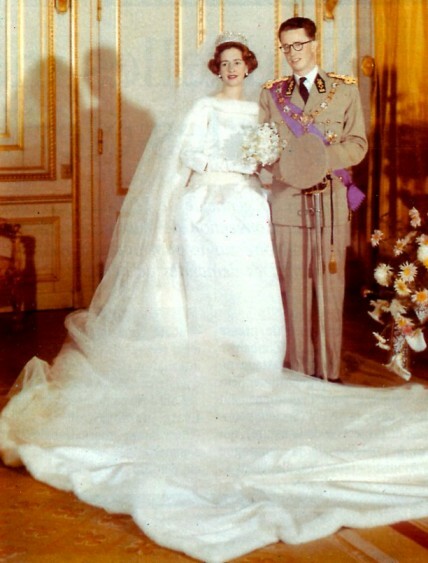 While watching the recent royal wedding I couldn’t help but think of his famous 1960 dress for the wedding of doña Fabiola de Mora y Aragon to King Baudouin of Belgium. The unadorned purity of the dress must have entered the thought process for Meghan’s dress. Another spectacular wedding dress made in 1967, is currently on display in a medieval chapel within the Cloisters as part of the Heavenly Bodies show. 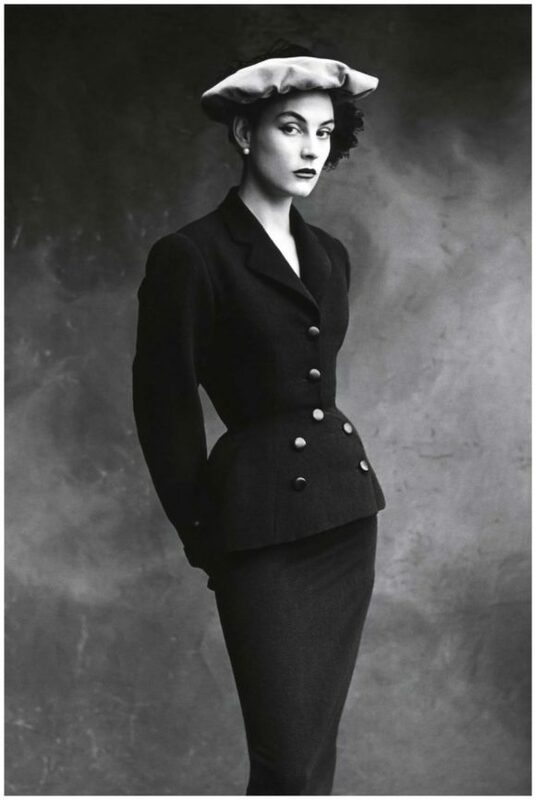 At a very early age Balenciaga began his journey to become a great couturier. He was born in the small fishing village of Guetaria, in the Basque province of northern Spain. His father, a sailor and mayor of the village, died young leaving behind a wife and three children. 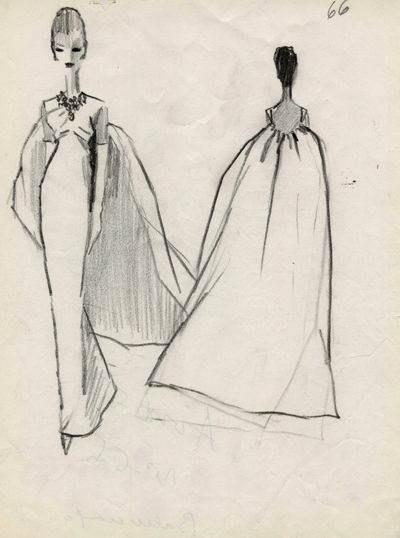 Balenciaga’s mother supported her family by teaching dressmaking to girls in the village. Through this early exposure, Balenciaga discovered his passion and natural aptitude for the craft. At the age of twelve he worked as an apprentice for a tailor in the nearby city of San Sebastián. At thirteen, as legend has it, Balenciaga approached an elegant woman he had observed and asked her if she would let him design an outfit for her. “Why would you want to do that?” she asked. “Because I think I could” was his response. 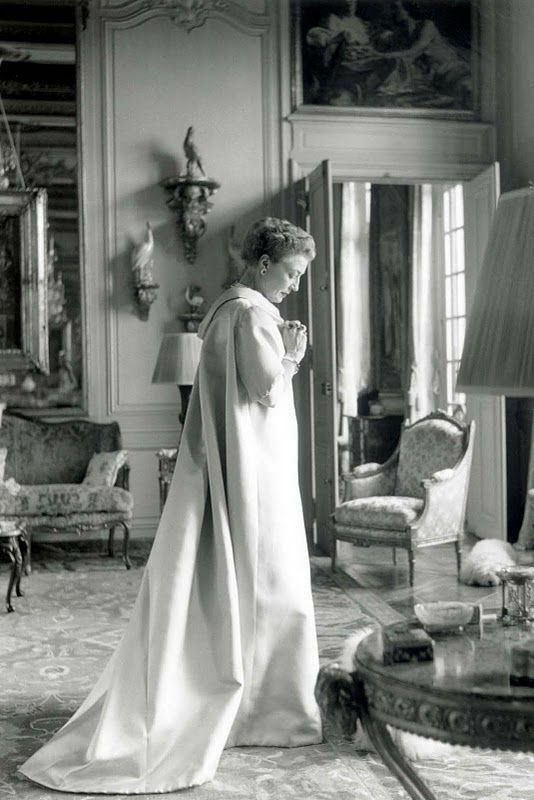 That fateful exchange with the Marquesa de Casa Torrés set Balenciaga on the path to his destiny. There is no record of this first attempt but he continued to work for the Marquesa and was permitted access to her wardrobe and trusted to copy a dress for her. By 1919 Balenciaga opened his own couture house in San Sebastián in partnership with his sisters. Throughout the twenties and thirties he opened additional shops in Madrid and Barcelona. The Civil War in Spain eventually forced Balenciaga to move to Paris. In August of 1937 he showed his first Parisian collection. Despite his notoriety in Spain the press took little note. Sales however were brisk, and the first collection was a commercial success. Word quickly spread and within a year the house was firmly established. 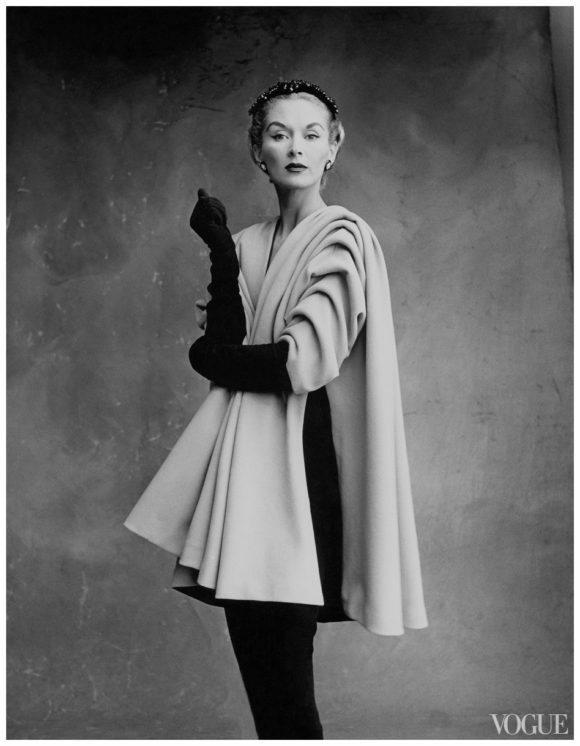 Throughout the forties and fifties Balenciaga reigned as the undisputed master of the couture. He had the respect and friendship of his contemporaries including Chanel, Givenchy and Vionnet. During World War II the house continued to operate throughout the German occupation of Paris. Due to gas rationing, loyal clients would cycle to fittings and carry their bikes up the three floors to the atelier. Despite his career long policy of denying interviews and photographs of himself, the press treated him with reverence, adding to his mystique and dominance in fashion. By the mid sixties however, a seismic shift was taking place. The rise of Courrèges, a former employee, fueled by mini skirts, futuristic fashion and a youth obsessed culture, changed fashion. The praise once lavished on all Balenciaga collections had cooled considerably as the importance of the couture waned with the advent of prêt à porter. Undeterred Cristóbal Balenciaga continued his artistic pursuit for purity of form. He rejected lucrative offers to launch his own prêt à porter stating, “I shall never prostitute my art”. In May of 1968, after years of dwindling sales, the house of Cristóbal Balenciaga closed its doors. 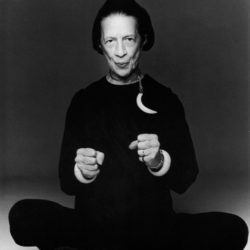 Many of his longtime clients were devastated, Diana Vreeland and Mona von Bismarck among them. Von Bismarck was reported to have been so distraught by the news that she took to her bed for three days. It was the end of an era. Decades later, by benefit of hindsight, the world came to realize that during the sixties Balenciaga achieved what his entire career was leading to, purity of form. It is in these late career masterpieces that the entirety of his genius coalesced. Mona von Bismarck,one of the most fashionable woman of her time and a devoted client. 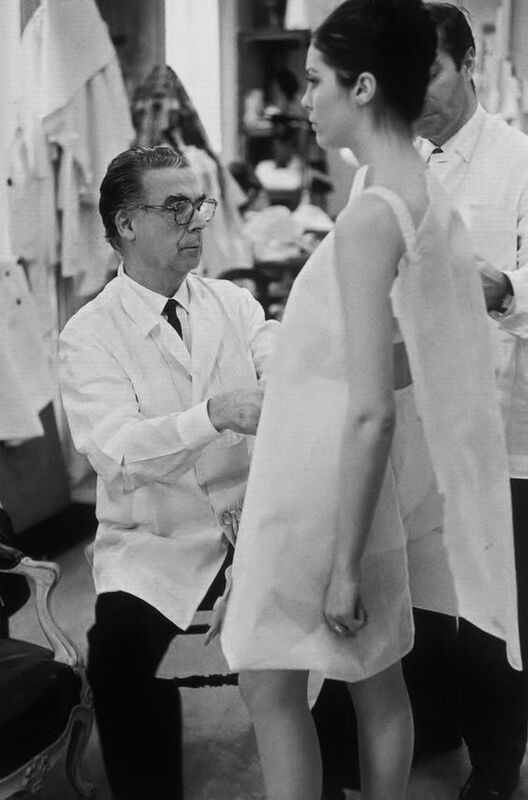 For more images follow my Cristóbal Balenciaga board on Pinterest.